Along Goshen’s Lincoln Avenue, across the street and down from the Elkhart County Courthouse, sits a nearly century-old building with a dark brick façade. 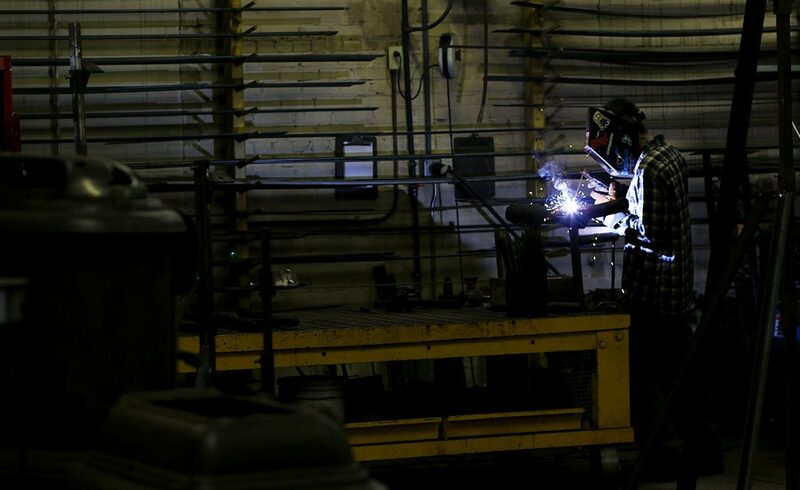 It’s a manufacturing facility, and also a piece of living local history. 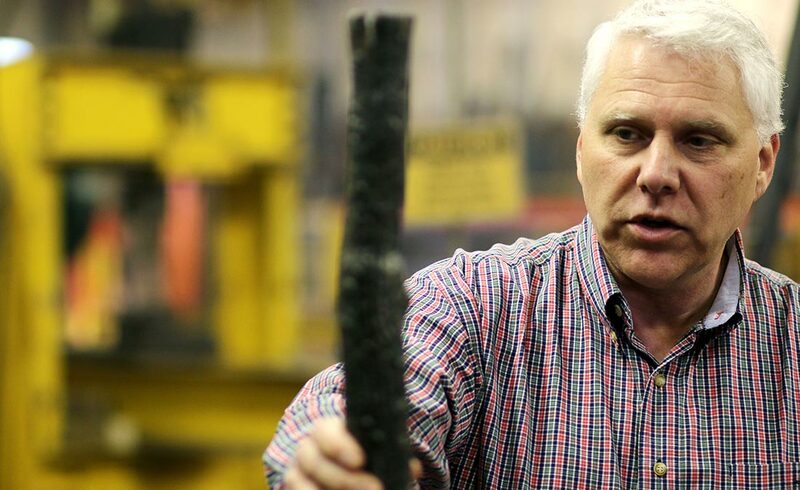 “This small business” is Hamilton Iron Works, of which Daub is the third-generation owner. 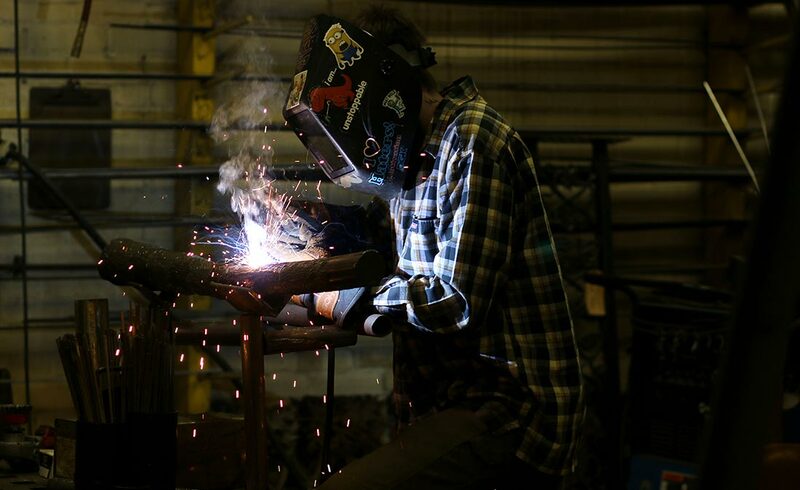 And what has come out of it can be found throughout Goshen, the state, the region, and beyond. 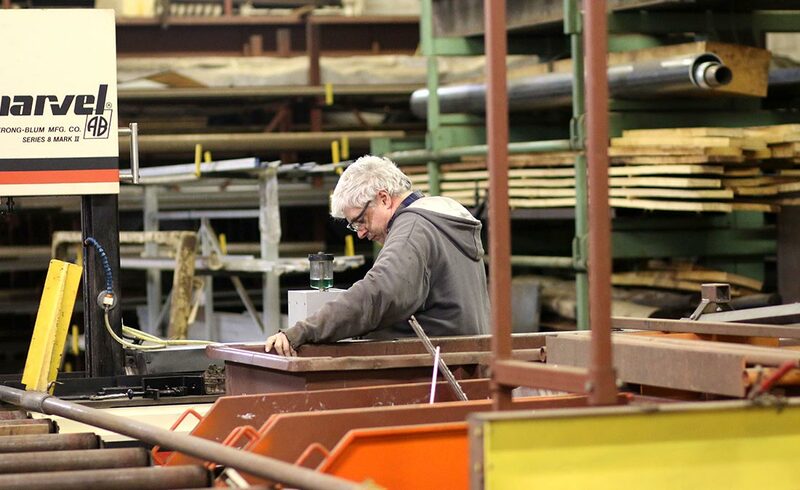 Over the course of nearly 100 years, Hamilton Iron Works’ durable products have found homes all over the continental U.S. and even Hawaii. Hamilton projects have included everything from Chicago fire escapes to restoration work for the Ford Estate near Detroit. 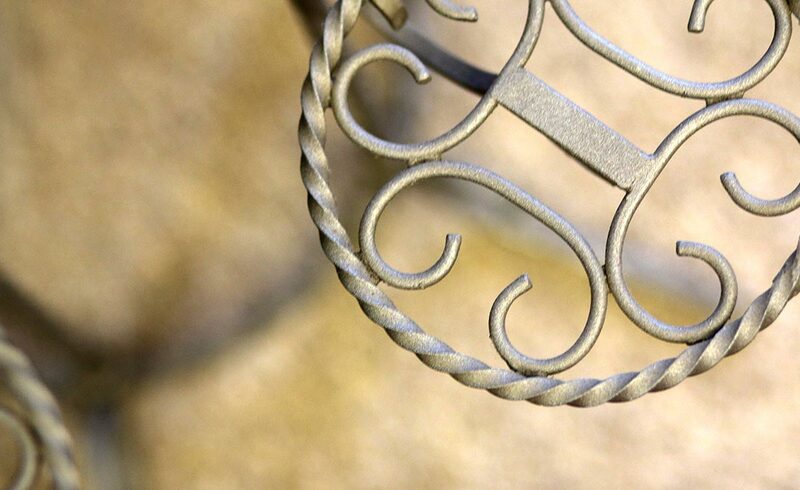 The railing on the bridge in Fort Wayne’s Johnny Appleseed Memorial Park is from Hamilton Iron Works, and Hamilton sculpture work is on display at the South Bend Museum of Art. A weathervane – created with the help of the late Ralph Bower, a local wood carver who often partnered with Hamilton – is in the Indianapolis Children’s Museum. 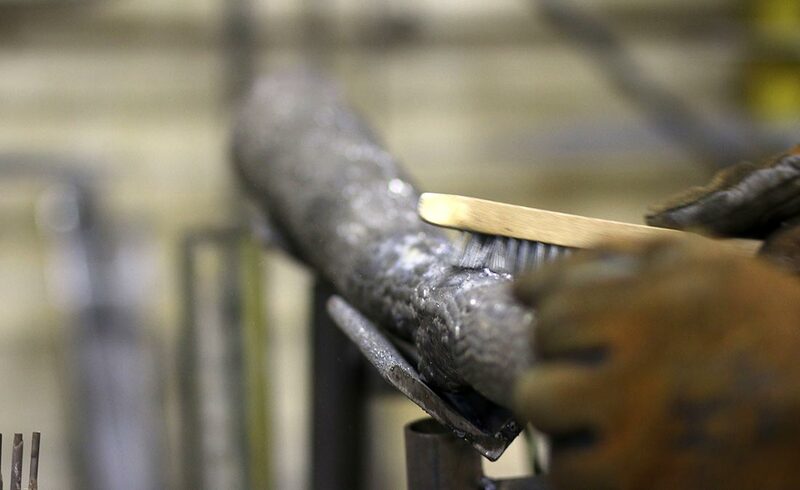 Hamilton-crafted works adorn many Goshen homes, businesses, and institutions. The ironwork on the sign at the entrance to Chamberlain Elementary School? Hamilton. The rebuilt Goshen College entrance sign along College Avenue? Hamilton. Who recast the damaged goose sculpture and fountain outside the Goshen Public Library, giving new life to a neighborhood landmark? Again, Hamilton. 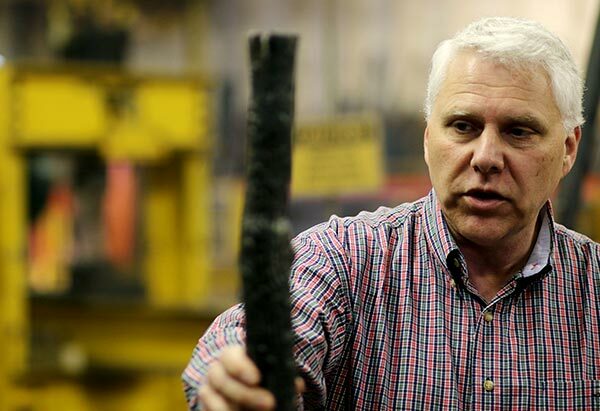 Daub’s grandfather, Alva Hamilton, founded the manufacturing firm in 1917. 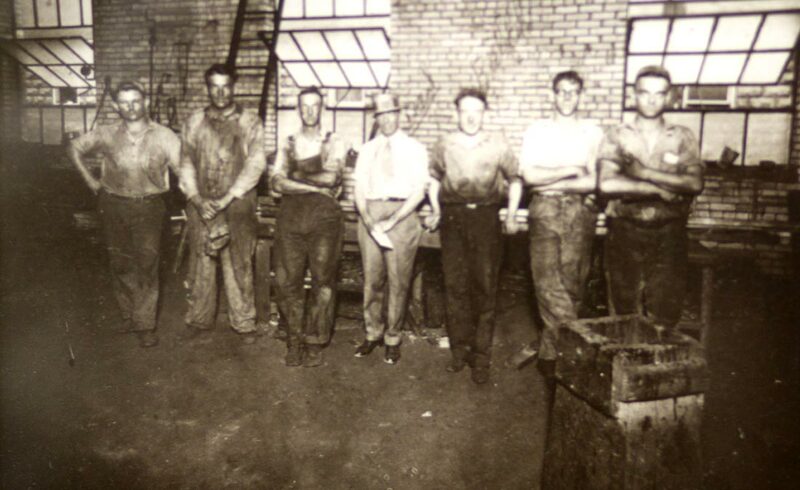 “That’s my grandfather, right there,” Daub points to a framed black-and-white photo showing Alva and an early Hamilton Iron Works crew. 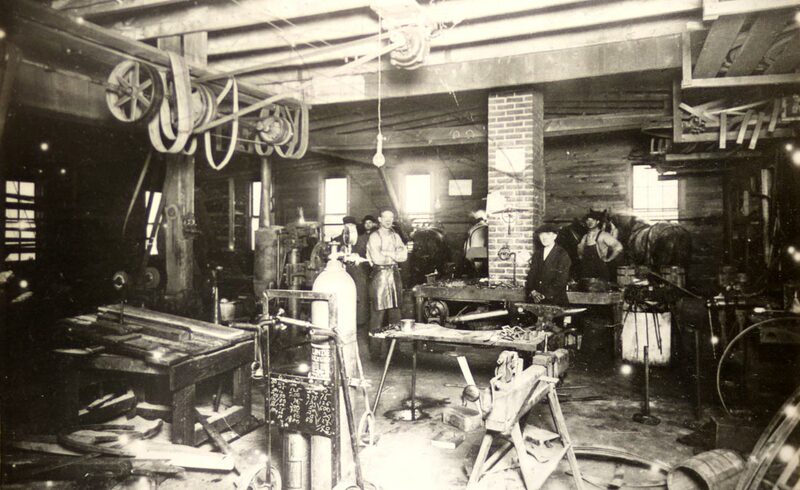 The man in the photo didn’t simply build the Iron Works – he also built up the entire block on which it sits. In addition to office and rental spaces, the block was also formerly home to a gas station and an Oldsmobile dealership. Hamilton himself lived on the block, in a house that is now home base for Goshen Interfaith Hospitality Network. 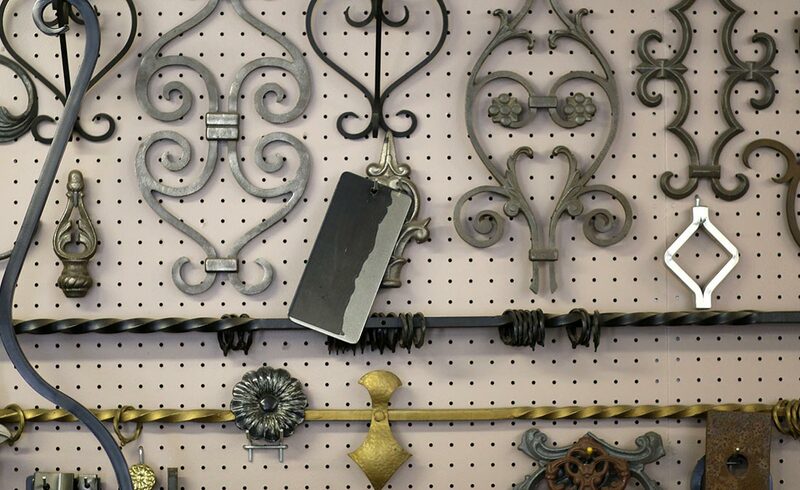 The ornamental metal work seen in and around the home is fitting, given the former owner. 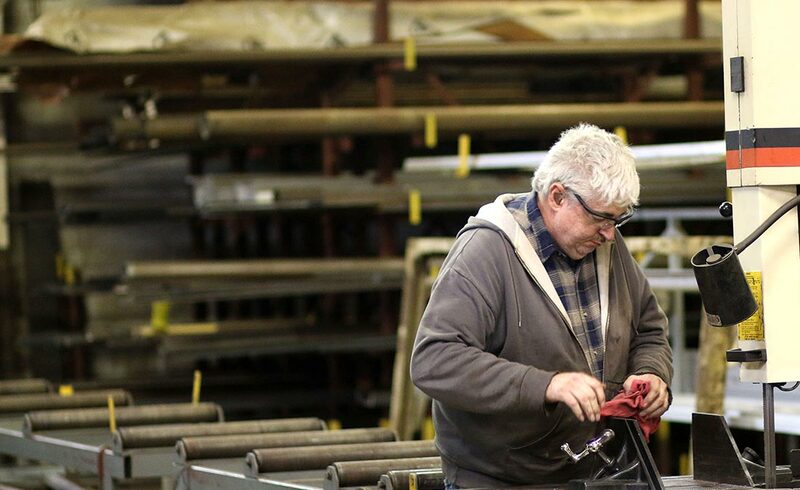 Hamilton Iron Works’ focus has shifted over the decades. 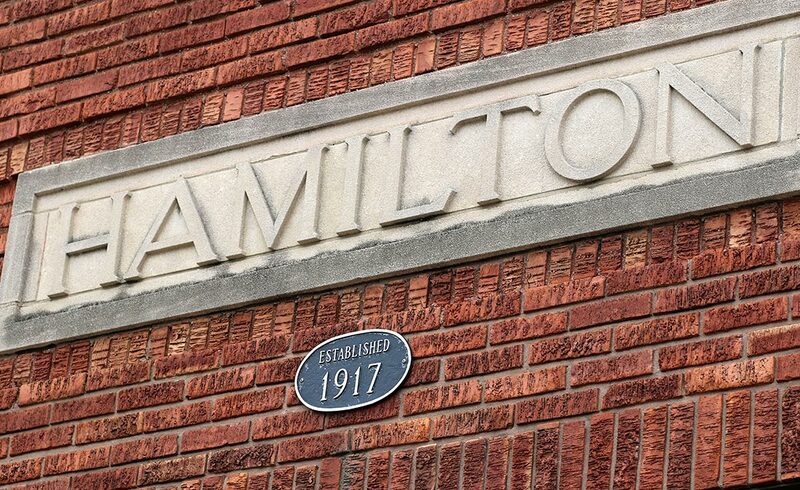 In the early years, Hamilton framed large-scale structural projects. 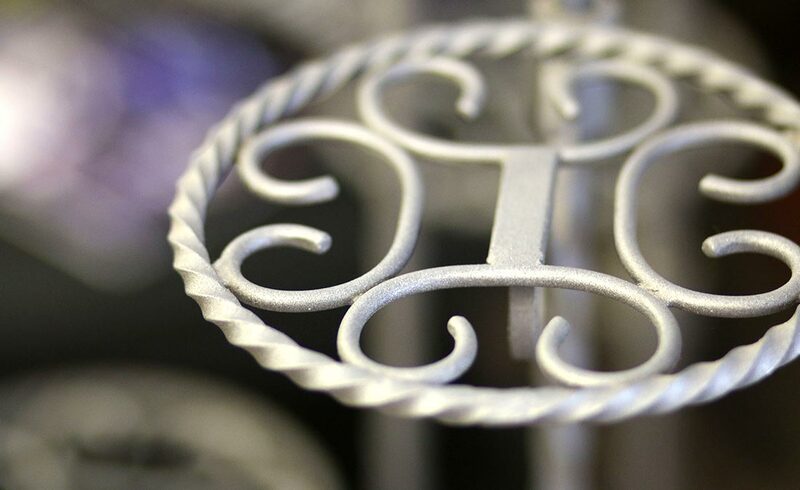 Hamilton Iron Works still performs some structural jobs, but these days its emphasis is on custom ornamental work – railings, gates, spiral staircases, etc. 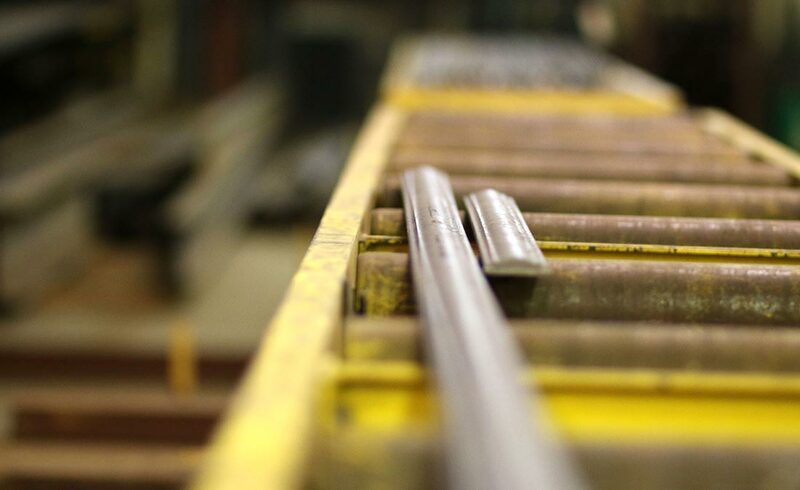 Aside from iron, the Hamilton staff also works with brass, stainless steel, aluminum, marble, and glass. 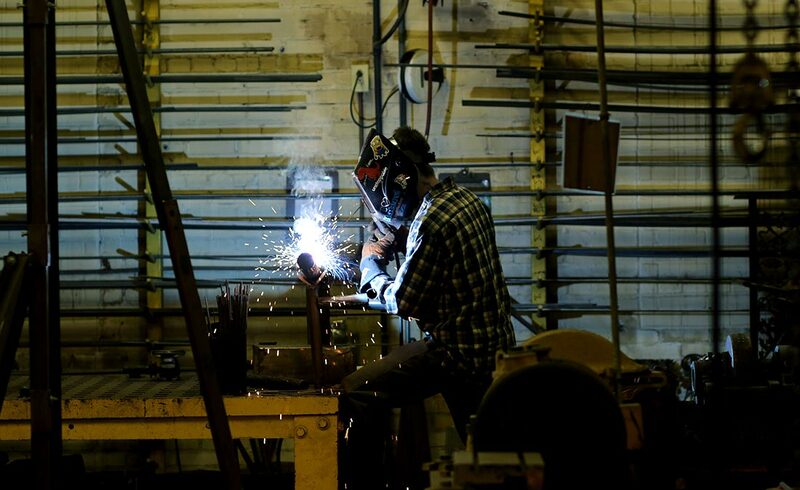 “Customers come in and we basically get to design and build things from scratch,” said Daub, a designer at Hamilton Iron Works in addition to being the owner. 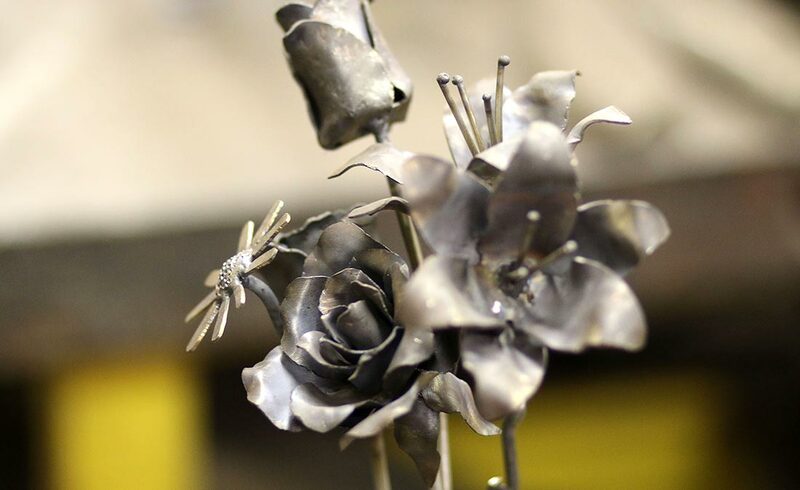 On a recent afternoon, welding sparks flew in the workshop as a custom project was underway. 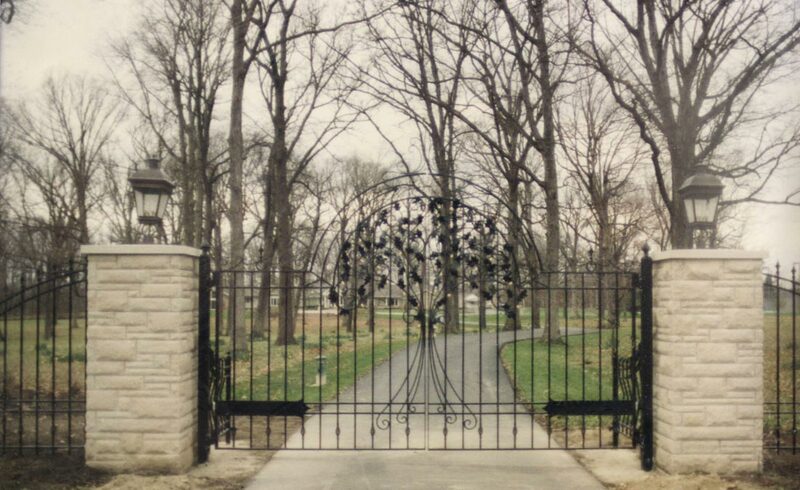 It was an iron-sculptured fence being fashioned to look like trees. 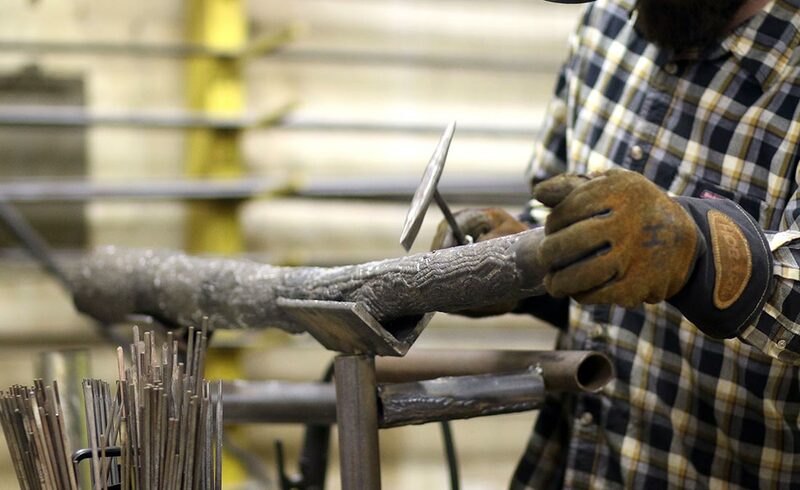 A craftsman was utilizing stick welding to achieve the “bark” effect. 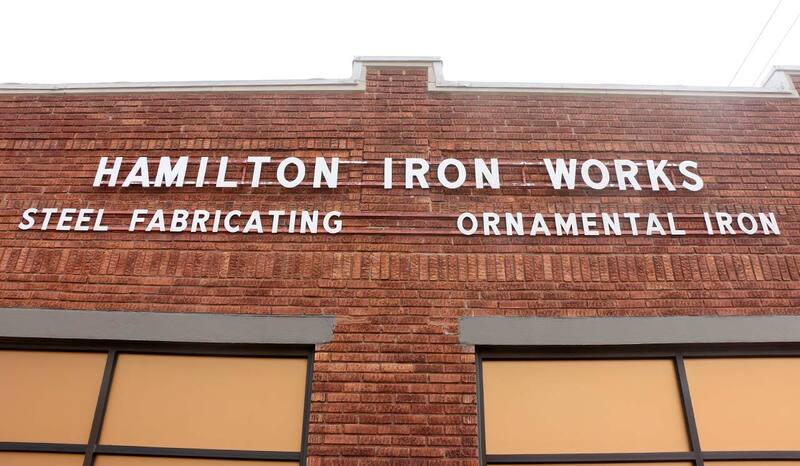 Through projects big and small, Hamilton Iron Works has made its mark here, there, and everywhere. 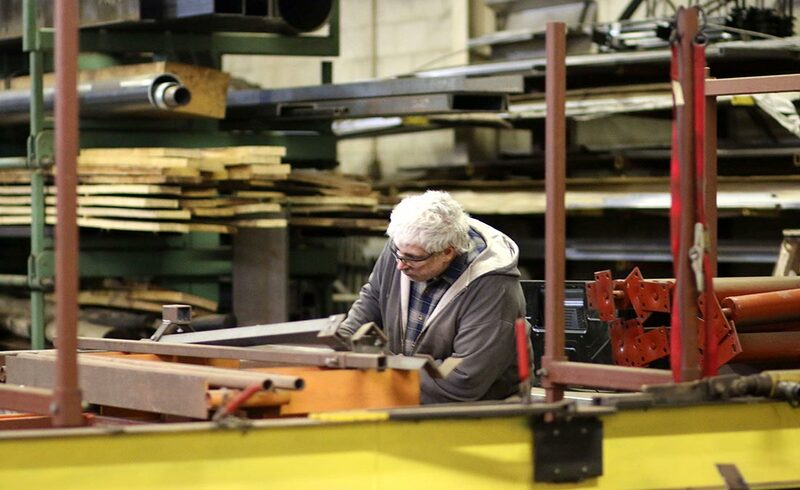 It’s a family tradition Phil Daub has been part of since he was a child. 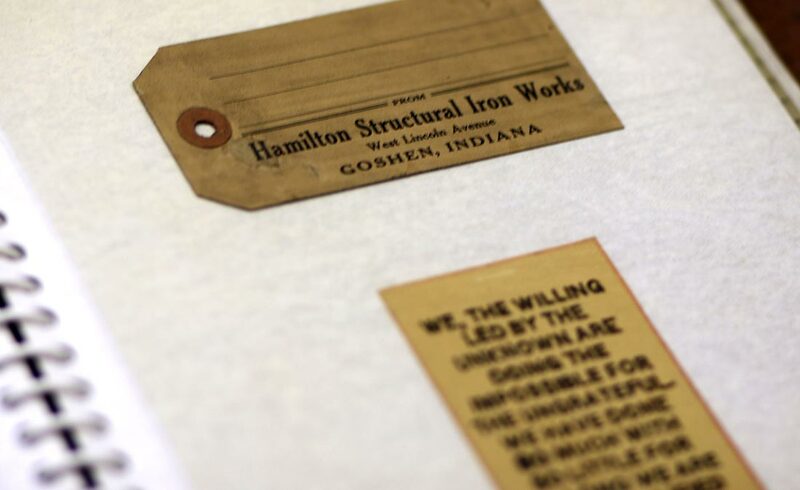 Following founder Alva Hamilton, son-in-law Charles M. Daub ran Hamilton Iron Works for several decades starting in the 1950s. 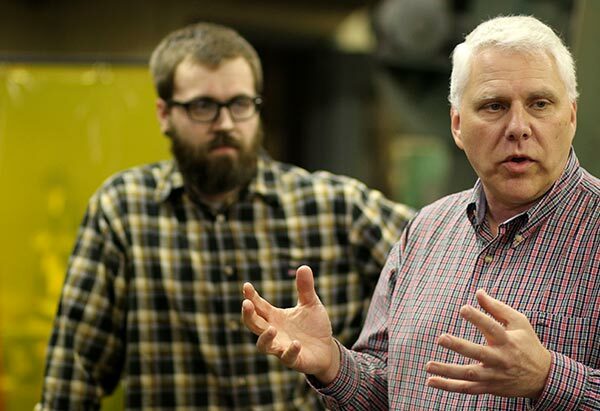 His son, Phil, took over the operation in 1995, though his involvement began years earlier. And once Daub started in full time in the family business, he never looked back. 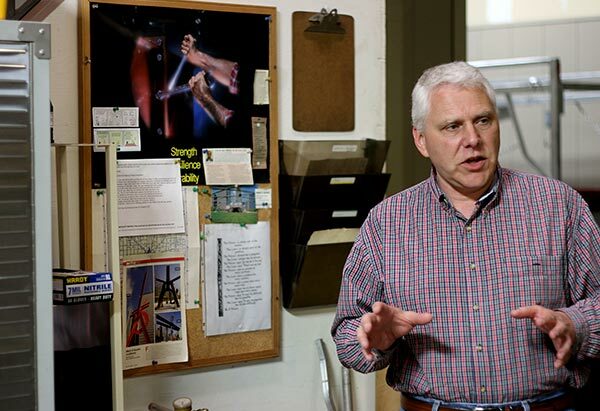 A lifelong Goshen-area resident and longtime Goshen business owner, Daub finds much to recommend about the Maple City. 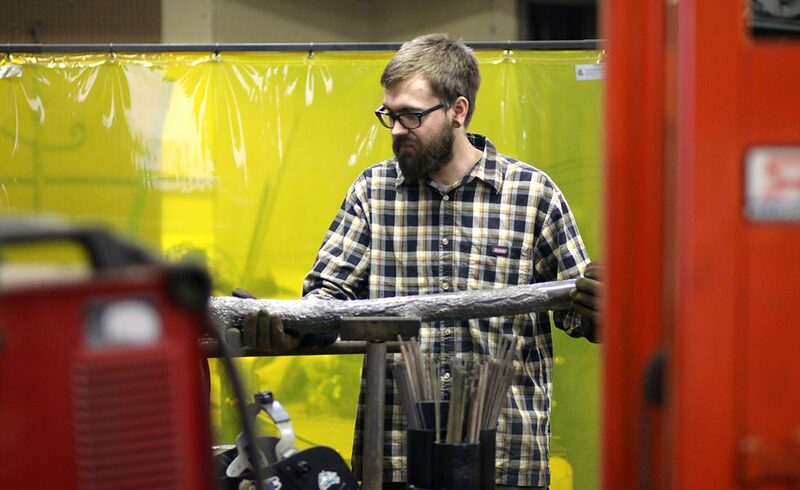 In Daub’s experience, Goshen is also a place where businesses support each other.